Apple has started a war against the connectivity ports a long time ago. This was first seen with the removal of headphone jack from the iPhone 7 but it has been going a grander scale along its range of devices. Apple is now gearing towards removing not just SD card port but also the full size USB port and HDMI port form its computer devices it order manufacture more sleeker and slimmer devices. All the users will have to make use of legacy connector in upcoming future as Apple will bring a new smaller USB-C port into the play. Apple has stated that a large number of users which basically comprises of the professionals rely on the legacy connectors for day-to-day activities. Apple aims towards helping the consumers move towards latest technology and gadget which can help in improving the efficiency of the device as well as user. Apple will help users in getting access to these great legacy dongles and adapter through dropping the price until the end of this year. The most popular adapter at the moment is the USB to USB-C adapter which comes at a price of $19 but it will be offered at a price of just $9. All the users will latest or older version of the iPhone will need to buy the lightening to USB dongle at price of $19 or they will have to use an old Lightning to USB cable with the above mentioned adapter. It does sound like a night mare for the consumers but eventually it will be helpful for the users in the end. In the last decade we had seen a trend has emerged in which other follows the lead of Apple. Whatever Apple does and brings to its devices is simply followed by its competitors. Apple has done away with the Ethernet ports as well as DVD DRIVE on its MacBook and this decision was criticized both by the critics and the fans. But with time people changed their habit and it didn’t matter anymore. In similar fashion we are looking at the gradual eradication of the USB 2.0 ports from the Smartphone. 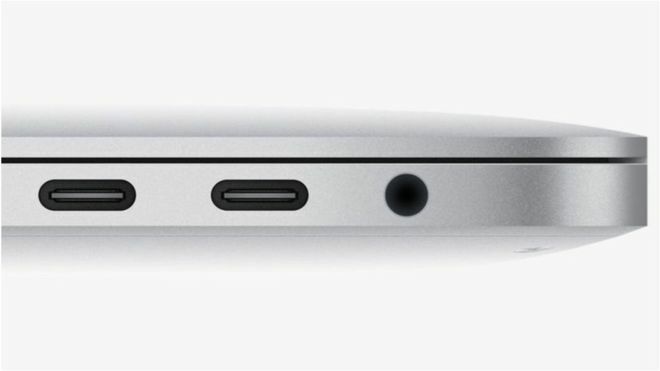 Now majority device across the product segments comes with USB Type-C and there is no question we will be living a dongle-less time in upcoming years. It is worth noting that in past few years there are no new products from the Apple. Apple is reaping benefits by releasing upgraded version of its popular range of devices across the products segments. This has left a number of wondering whether Apple will be bringing any new device or not. Unser the Tim Cook tenure Apple has invested hugely in furthering the research and development but there have been no reports on what Apple is actually working upon. This has even caused anxiety among the investor which were subdued by the Cook through stating that Apple has a number of products in the pipeline which will help in turning the fortune in near future.